Gwen is a dear friend of mine from college and little did I know she was a talented designer. 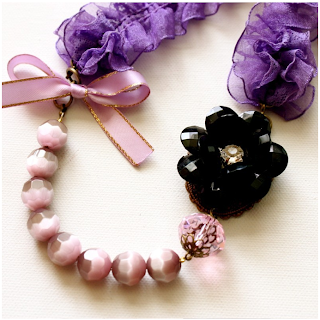 Her recent Etsy shop, EverydayFairytale, is full of lovely jewelry, clothing and tutus. I can personally say that her pieces reflect her beautiful personality. They are well thoughtout designs to the very detail and all magically unique. I absolutely love how she names her jewelry: Marianna, Nicolette, Angelique, all these wonderful names that I'd love to use for my daughter if I were to have one. But not just that. They make me imagine a fairytale princess that would be wearing her necklace while she dances with her prince charming. When you wear her products, you start your own very fairytale. 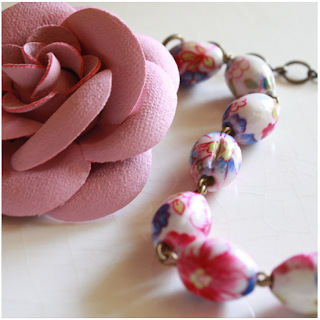 She says in her profile, "Each piece is a story, your own piece of make-believe. Welcome to my world, where everyday IS a fairy tale!" and it's absolutely darling. Stop by her shop and see your world become a little more enchanted. Check out her blog here.